The most upgradeable and customisable desk that can fit any need and suit any scenario. An almost endless number of possibilities at your fingertips. Watch this video and check out some common uses of the OMNIDESK. The NEW Omnidesk Zero was created specially for Gamers with an unprecedented low price point. Customisable, upgradeable and, most importantly, wallet-friendly, while still being feature-packed and made from premium parts. 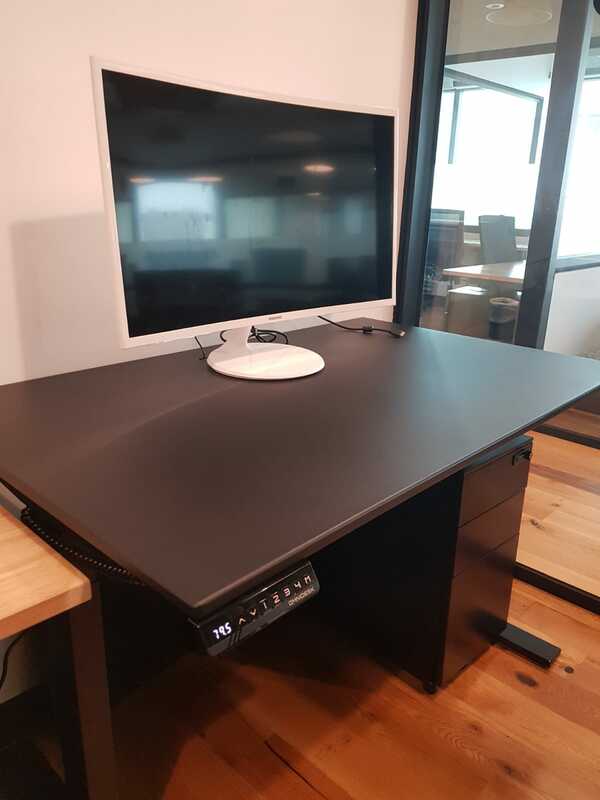 The OMNIDESK comes packed with accessories and options, including monitor arms, cable management tools, PC holders and even speaker mount capabilities! Upgrade your OMNIDESK to a larger table top, more advanced legs, or attach more add-ons as our team creates more unique tools to personalise your desk. Find your perfect sit-standing position with the electronic height adjustable OMNIDESK. Electric lifting mechanisms allow you to raise or lower the desk to your exact preferences, and even create memory profiles for different users. Showcasing a small handful of our authentic corporate clients who are proud to be listed as Omnidesk users. 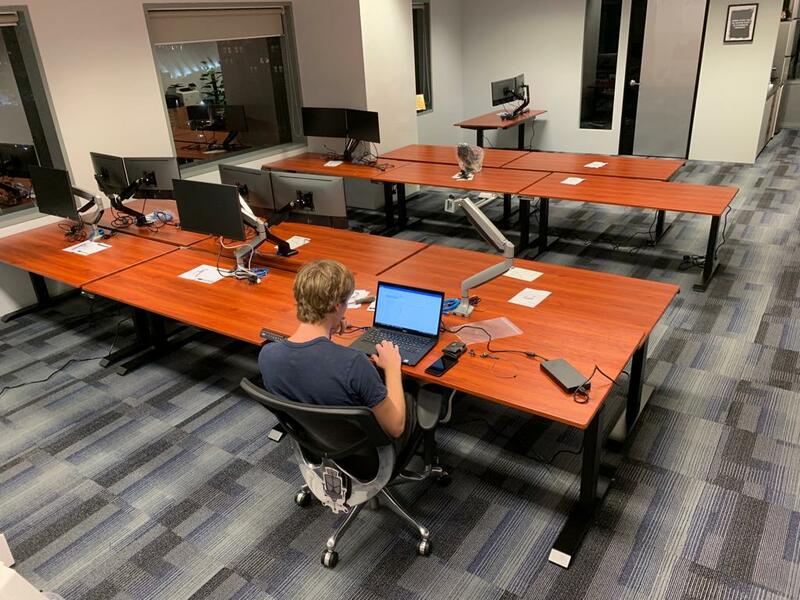 We have disrupted the general mass market, our goal this year is to show companies big or small that providing standing desks and ergonomic friendly products will not require your entire budget. Join 100+ other companies and boost your employees' productivity with an Omnidesk today. Our Corporate Account Manager will get back to you as soon as we can. 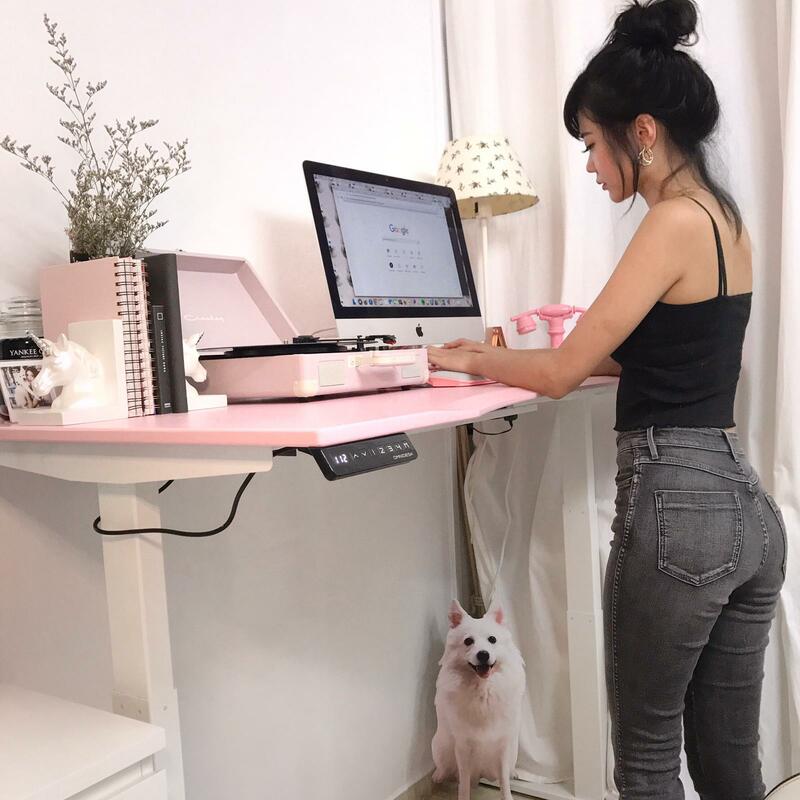 "With friends spending hundreds on accessories to elevate their desk, or even thousands on a height-adjustable, the Omnidesk comes in at an attractive price point. But the textured table top, together with streamlined design and modular features clearly elevates the Omnidesk to a class of its own." "Height-adjustable desks are nothing new, but the Omnidesk stands out because of all the modular add-ons it offers. It seems to want to be a catch-all solution for everything you could possibly want to do at your desk, from charging your phone wirelessly to mounting your subwoofer and PC." "Considering that good quality computer tables cost around the same, and height adjustable ones run into four figure amounts, Omnidesk’s offerings are definitely a great middle ground for someone considering a similar product." 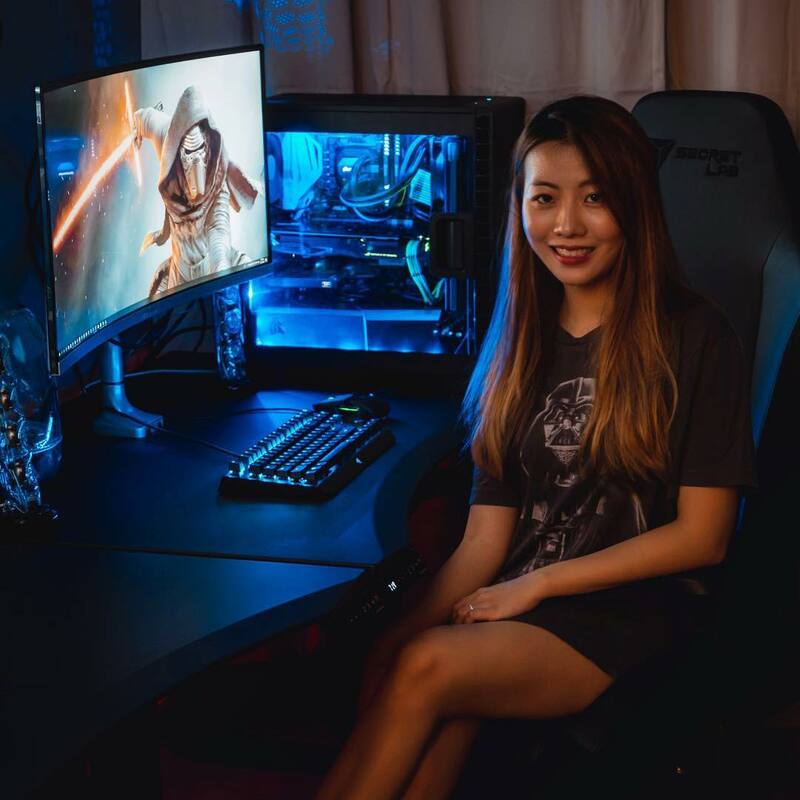 "The Omnidesk will suit all kinds of profiles, ranging from an investment banker to a pro gamer. You can pick from a bunch of various finishes, from something more professional that’ll fit in your office to something a little more loud and will be right at home in your man cave." 3000+ users and counting. Find out what they have to say. 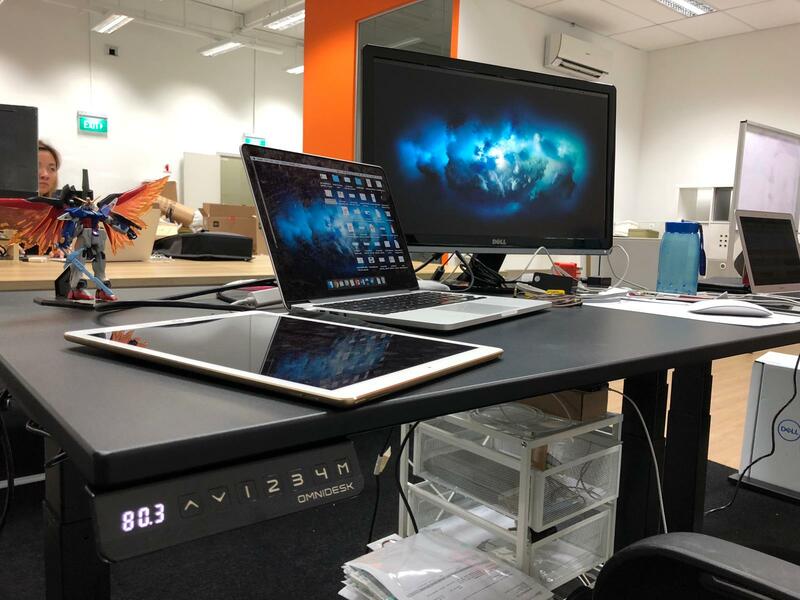 "State-of-the-art standing desk you can ever find here in Singapore at competitive price. Totally a worthwhile one for standing desk fans." "...they are of very good quality. Made with durable and high quality materials, I believe that it is one of the best standing desks in the market. Definitely worth buying." "it's fantastic as the height of the table can be adjusted to your own comfort." 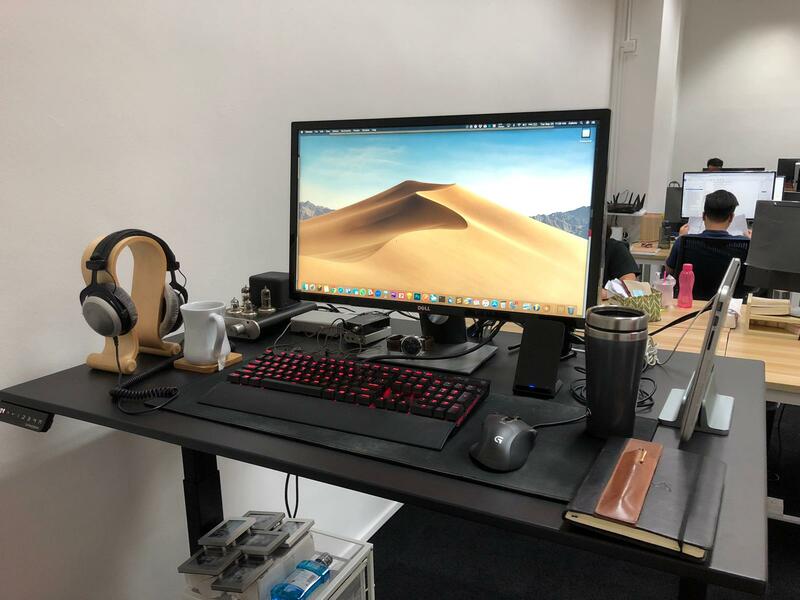 "Thoroughly enjoyed the desk, worth the price, appreciate all the extra features like the cable management bar and enjoy the fact that I have the option to add more stuff like the screen arm if I want." "The materials used and the performance of the height adjustment was very satisfying. All in all, it's a worthwhile investment to get this desk. Would consider buying another one in the future for my sibling!" "The motor is smooth and the whole table and mechanisms are reassuringly solid. The design is practical and ergonomic with curved inlays and edges. The health benefits in regards to a standing table is irrefutable. "Purchased 2 desks for my new house. Never regret. 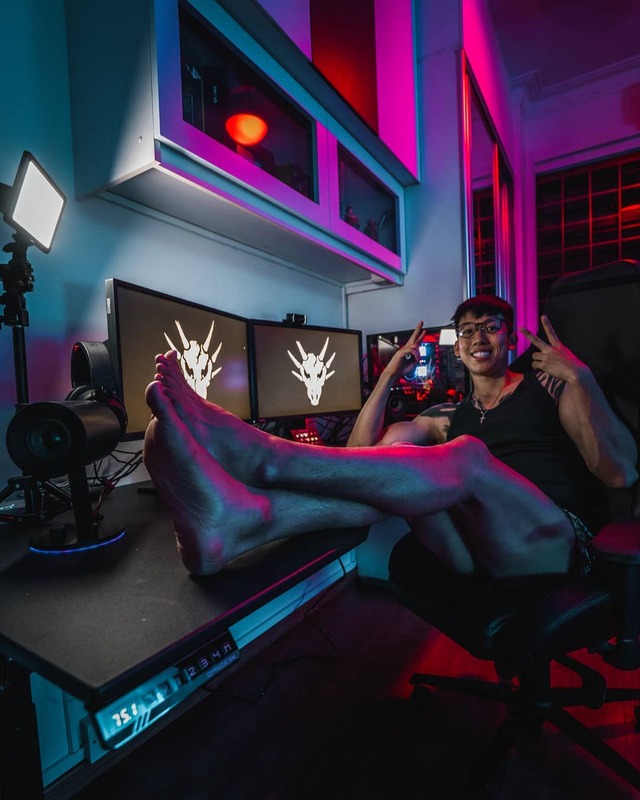 The whole structure of the desk was well designed for a gamer." "Bought an Omnidesk table few months back. One of the best bang for buck standing desks you can get. Materials are of solid build." "The table is great value for money with other standing desks costing more than a grand! They even have feature such as a cable management bar which is included in the base price." 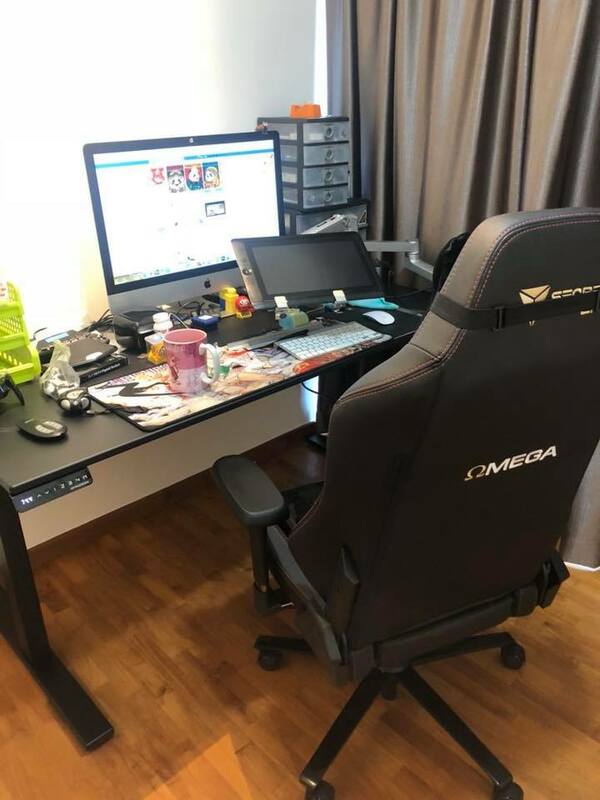 "Bought 2 Omnidesks for our new home. 5 stars for the quality and aesthetic! Definitely worth the money!" "My husband and I were blown away by this amazing product and decided there and then to place an order for it!" Every Omnidesk is covered by our extensive aftersales warranty package. 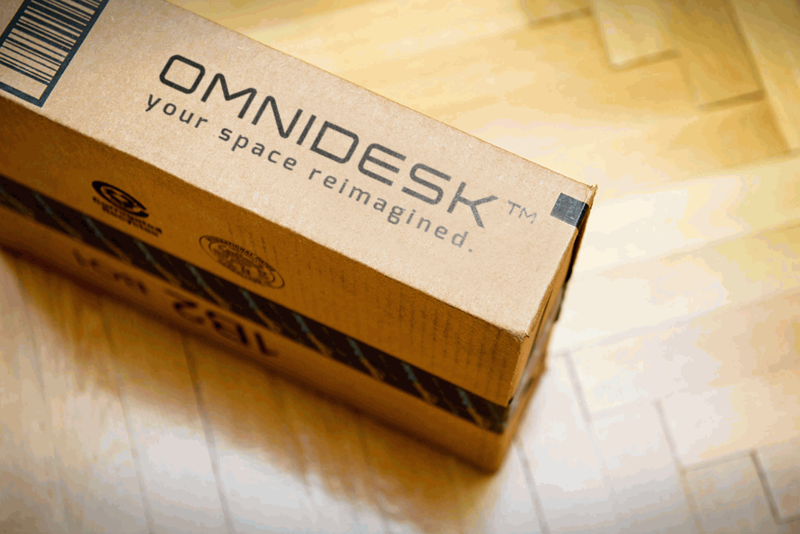 We pride ourselves to provide the best Customer Service Experience with every Omnidesk purchased. From presales to aftersales servicing, you are well covered. Most ergonomic furniture are heavily marked up due to a long supply chain of factories, distributors and retailers. These rings especially true for height adjustable desks. Worse still, competitors bring in cheap inferior products and claim to have the same kind of savings. At OMNIDESK, we bring the desk direct to you with no middleman, enabling us to focus on giving you, the customer, the maximum amount of our budget into a superior desk. Flat-pack delivery means we send you the desk in sealed packages to your homes for you to assemble yourself DIY style! This method of shipping reduces your lead time by up to 75% and also shipping costs. This allows us to keep prices low and pass on the savings over to our customers. WHY IS THE OMNIDESK SO EXPENSIVE? 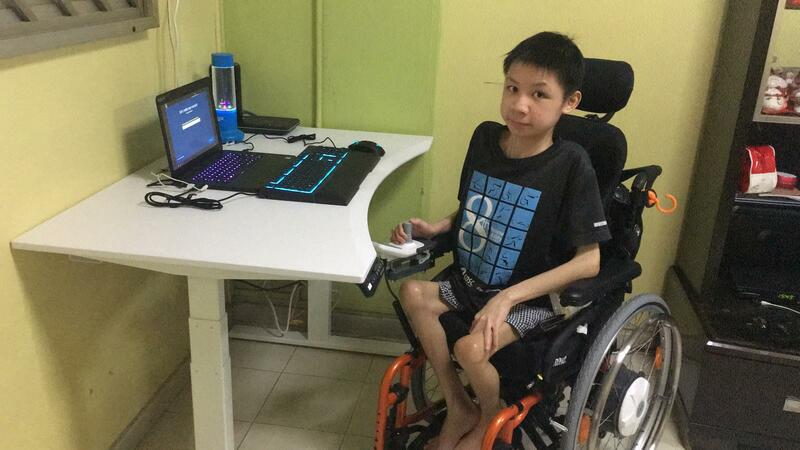 If you're in the market for a standing desk, you will realize that similar spec-ed electric standing desk costs more than SGD$1000. Competitors who are above our price range, can never come close the the quality of our lifting mechanisms and durability. That's not even including our proprietary designed erognomic tables tops. 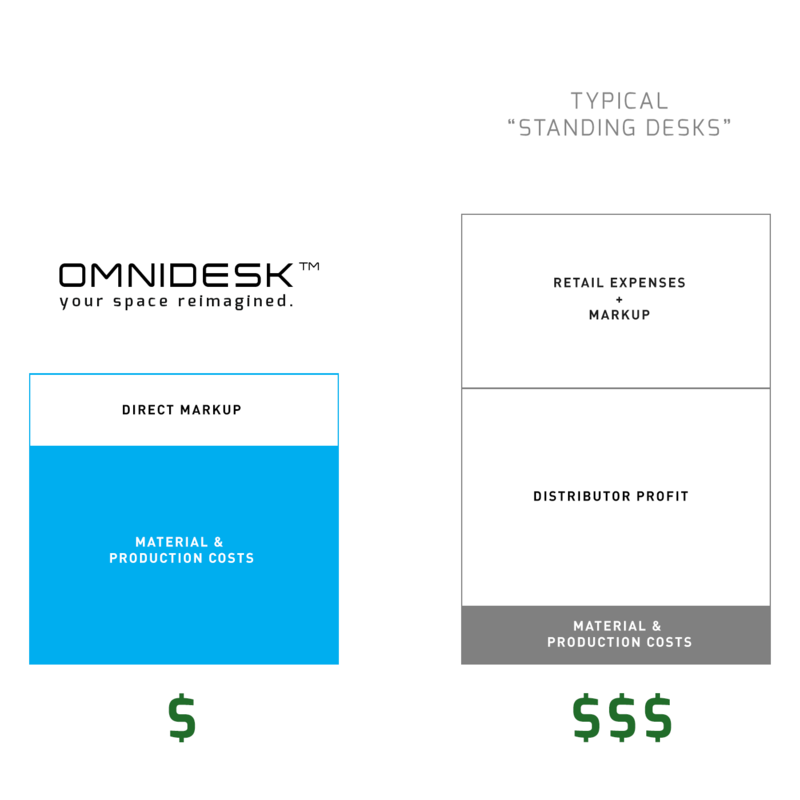 Omnidesk wants to bring Standing Desks to the masses, hence affordability to customers will always be one of the key priorities. WHERE CAN I VIEW THE DESKS? You can view the desks on display in our showroom. 996 Bendemeer Road #03-06, B-Central, Singapore 339944. BE REMINDED WHEN DEALS ARRIVE! Don't miss our early access deals via email. The OMNIDESK comes brought to you by the same team that created AFTERSHOCK PC. Customer service is our utmost priority. With this track record, our team of designers and engineers work directly with customers to ensure that your needs are met. You are dealing with us directly and not through some unresponsive distributors. Want further coverage? We give you the option to extend the warranty for up to 5-years. Send us an email or drop us a message, and we will provide a response within one working day.